I love the objects that were converted from Castaway Stories but they don't fit in with my game so I re-did a few of my favorites. 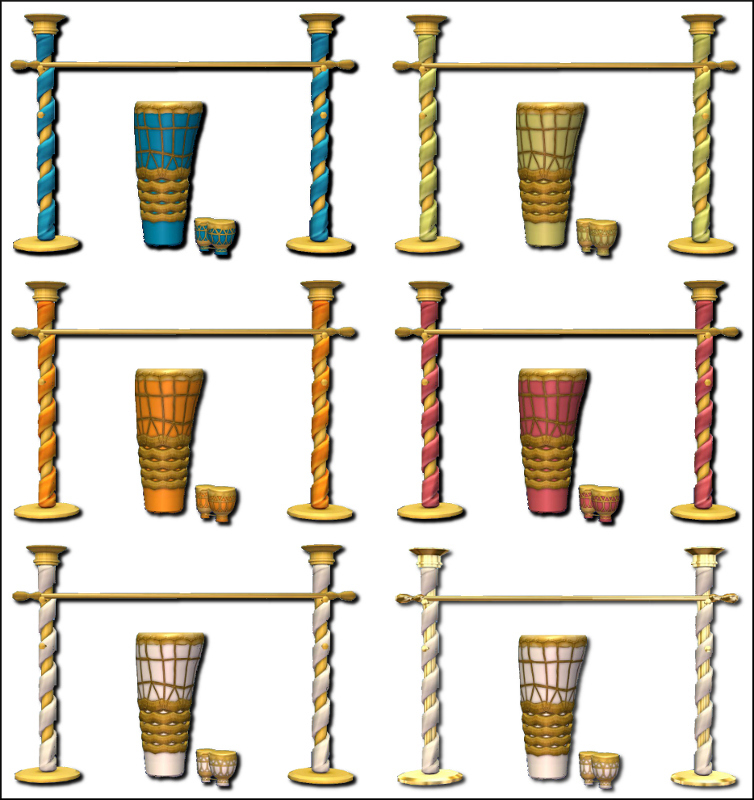 The new limbo pole coordinates with the Celebrations stuff pack and I recolored the Castaway drums to match. 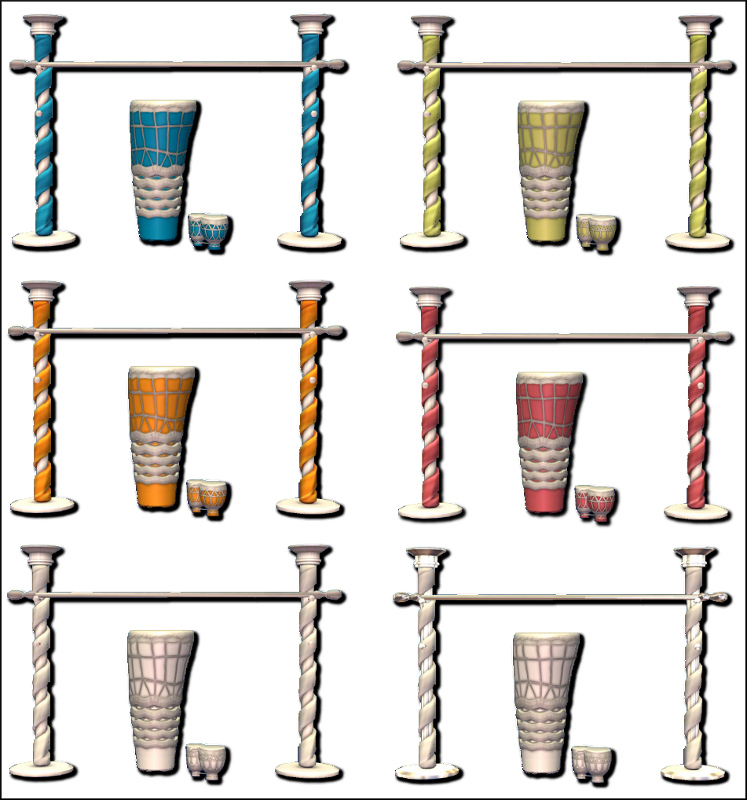 The drums match the Celebrations Stuff pack because that's the only party stuff I have in my game but I've uploaded the PSD files I made for the drums in case anyone wants to recolor these to match their own game. Everything you need is included in the two files so if you don't have any of the Stories CC already that's fine, you don't need it. 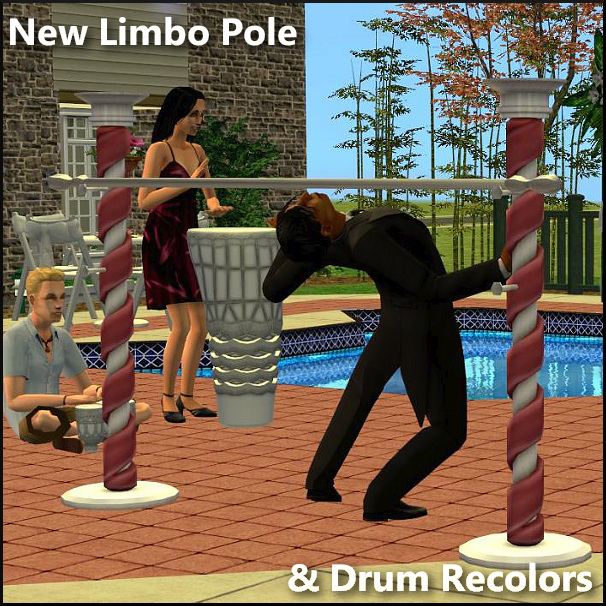 The limbo pole is a stand alone object and I've included the drum mesh with the recolors. Thanks go to EA for the modified meshes & textures, Pescado for the salvaged stories crap and leefish for providing a great place to share. You're welcome to use anything of mine, no matter where it's from, however you'd like. Ooh these are awesome! I've never used the limbo pole much outside of Castaway for the same reason. This is gonna be fun. Thank you! !